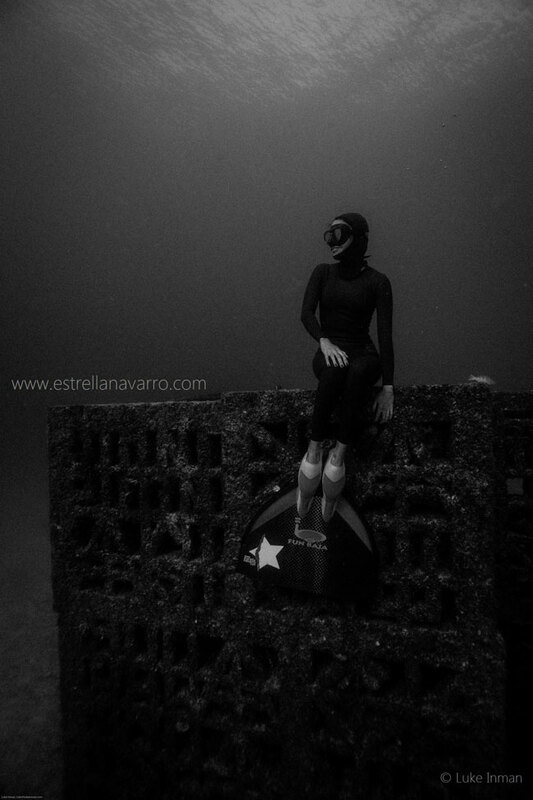 Estrella Navarro knows a thing or two about freediving and fitness. She holds a bronze medal from the 2013 freediving world championships in Greece and she recently reclaimed two Mexican national freediving records (she now holds 14) at Vertical Blue competition in the Bahamas. She’s also an accomplished TV presenter and a model, above and below water. She graces magazine covers, has worked on productions for the BBC and the Travel Channel, and acts on underwater film shoots. 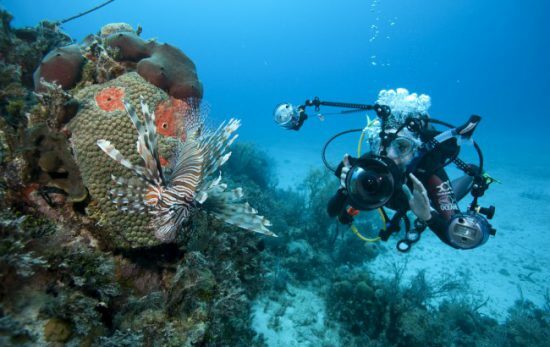 She’s well qualified to talk about fitness for scuba divers of all kinds. I asked Estrella what she does to prepare for an event such as Vertical Blue and how that relates generally to fitness for divers. There turned out to be a great deal in common; while some of what Estrella discussed is clearly aimed at advanced freedivers, much more is readily applicable to everyone. “Free diving changed my life, ” she enthused, and explained that she does a complete set of exercises for her mind and body: diet, yoga, meditation, breathing exercises and weight lifting. “Diet is important,” she said. “Everybody needs to check what works for them. I avoid milk; it can cause allergies and congestion. No milk. I also have an allergy to wheat, it’s not a major issue, but it does affect my abilities. “Experiment with what works for you. Most free divers don’t eat too much before a competition. I’ll eat half a banana an hour and a half to two hours before diving. It’s important not to expend too much energy on digestion. Estrella finds yoga and meditation particularly useful. “I will get in to a comfortable position with my back straight and breathe slowly and deeply. Breathe slowly and relax. I put my mind in white. “For freedivers, meditation to relax your brain is important so you consume less oxygen. My best dives are when I relax and my mind is white. I struggled a bit to follow the explanation and she pointed me to a video on YouTube about a yoga exercise, uddiyana bandha (the upward abdominal lock), which cleared things up. She swims 50 metres/yards at full speed, then she breathes for four or five minutes. She’ll do this three times to start and increase the repetitions to five (just like running.) She also swims relaxed, end-to-end, while breathing deeply and taking twice as long to exhale as to inhale. Again she emphasizes how important it is to make sure you know all the safety procedures. It’s mandatory to get professional education to engage in serious frediving.